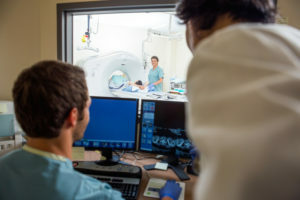 CoreChoice combines the talents and expertise of medical, technology, and insurance industry professionals to provide a new level of radiology, neurodiagnostic, and interventional pain management network service. Most importantly, CoreChoice is not a broker. We do not “up charge” on any of the charges for medical services. Our philosophy is to provide the largest specialty network in the United States for radiology, neurodiagnostics, and interventional pain management with fair and equitable pricing, as well as a prompt payment mechanism for our participating network facilities. At CoreChoice, we believe that patients should have free selection to be treated at the facility of their choice. And with a network in excess of 22,000 radiology providers and facilities in all 50 states, the District of Columbia, and Puerto Rico, we can accommodate this. Our neurodiagnostic network and interventional pain management division will also service all 50 states and include both treating doctors, as well as treatment facilities. The CoreChoice model allows for the physicians and the facilities to devote time and efforts to the practice of medicine and be comfortable that their services will be paid at rates that they have contractually agreed to and done so in a timely manner. CoreChoice is not a “middle man.” In all cases the facility is paid by the insurance carrier directly.